While we suffered through the lack of power my birthday happened, on Wednesday the 31st of August. It was a beautiful day out and I wore a cute dress with yellow tights (sorry didn't get pictures). 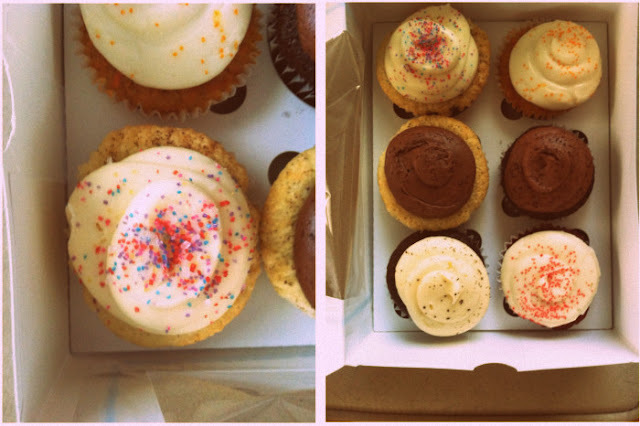 I bought killer cupcakes from Pearls and we went to dinner at Juleps. It might have been the best meal I have ever had. Imagine every comfort food you love...cheese, bacon, beef, and fries made into a fancy package. IT WAS AWESOME SAUCE. The husband also did good he bought me a whole new set of paint supplies and I can't wait to messy up those clean canvases.